The work carried out at the PVMD group can be used to calculate the solar photovoltaic energy potential of buildings in complex urban landscapes. The image shows results of the model applied to selected façades and roofs of buildings in the city of Boston, MA. Roofs are painted with brighter colours than façades which indicates a higher energy potential. 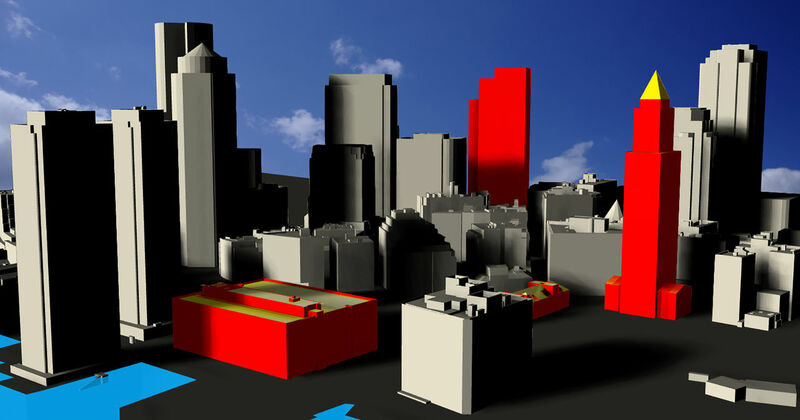 Base 3D model by Boston Planning & Development Agency is licensed under CC BY 3.0.